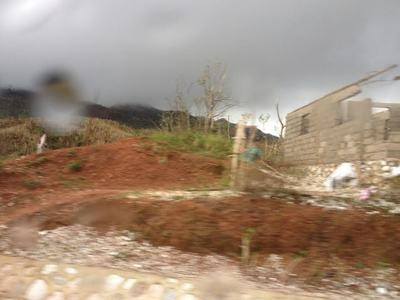 As HWB Executive Director, Holly Manoogian, CCH, kept close track of weather and conditions in Haiti, she was in regular contact with our colleagues in Haiti. They asked us to send teams as soon as the extent of damage was known. When it was safe to travel, our first team left for Haiti on October 14. Homeopaths Holly Manoogian CCH, Wendy Pollock DC, CCH, and Thera Ip, CCH, arrived at Port-au-Prince International Airport with suitcases overflowing with homeopathic medicines, water purification systems, and more equipment. 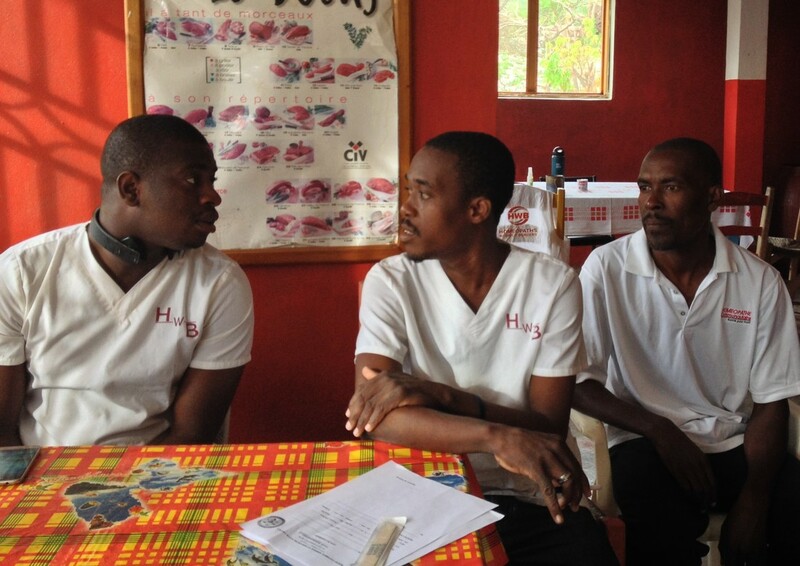 Their goal was to team up with Dr. Joseph Prosper (Dr. Joey) and HWB-trained Homéopathes Communautaires to set up clinics in areas hardest hit by Hurricane Matthew, beginning in Petit Goâve. 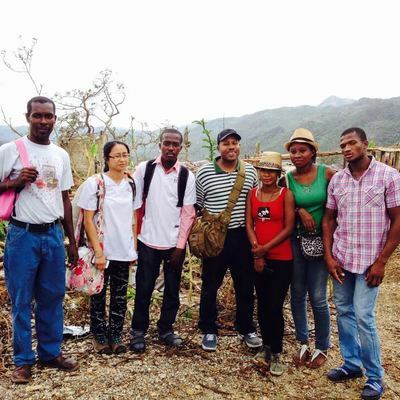 ​After 24 hours in Port-au-Prince during which the team organized their pharmacy and worked with local government officials to determine how to travel safely and assist the most people, the combined team traveled to Petit Goave. 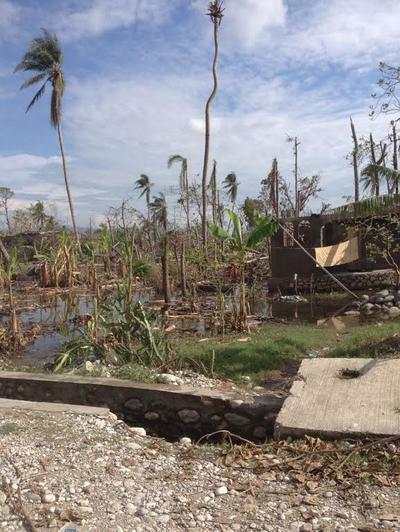 During the first three-hour clinic, homeopaths and nurses treated dozens and dozens of people.There was no electric power and no running water. Team members used portable solar chargers to charge laptops and cell phones. Potable water was a real challenge and lack of safe drinking water contributed to increased risk of cholera. HWB team members brought their own easy-to-use and inexpensive water purification system with them. Locals observing Wendy using the system remarked, "We wish more people coming here to help offered this to us." 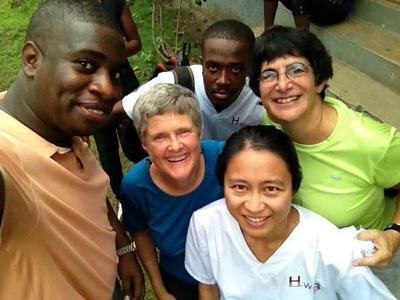 ​The team consisting of Dr. Joey Prosper, Israel Joseph, Luckey Pierre, our translator, Homéopathes Communautaires, Holly, Thera, and Wendy then headed out for Duchity, a mountainous town near Jérémie. Jérémie was almost totally leveled by Matthew and almost every tree in Duchity was destroyed, along with all of the crops and most farm animals. The roads were in even worse condition than usual and driving was difficult. 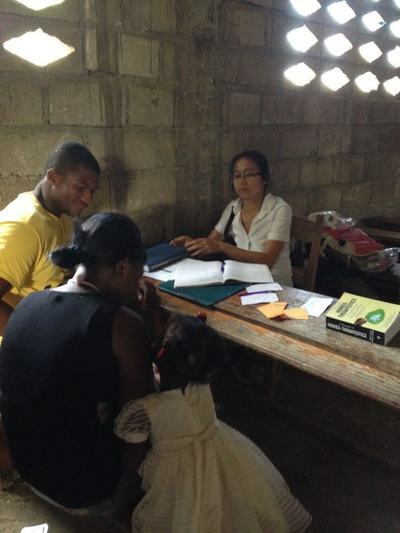 Clinic work began upon their arrival and during one day, the homeopaths treated more than 115 people. 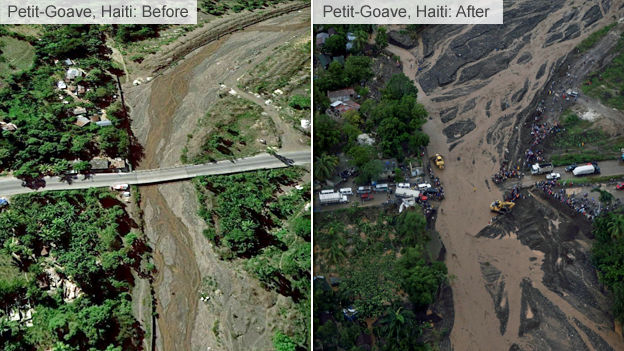 The return trip to Port-au-Prince was no less eventful. It took most of a day to make the 143-mile trip via bus. On October 23, Wendy and Thera returned home, and Holly and the Haitian team headed to Torbeck, the second- largest agricultural area in the Les Cayes region, to conduct a clinic. VERY LITTLE AID had reached this area. Torbeck is known for its agricultural crops, many organically grown.They found fields, crops, homes--all devastated. 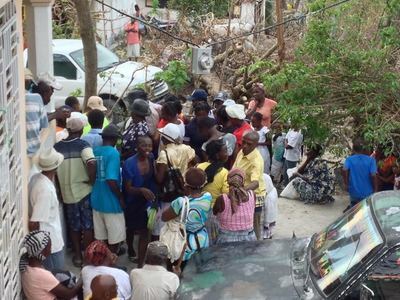 After a quick return to Port-au-Prince,to stock up on food and bottled water, Holly, Dr. Joey and the team headed back to the Les Cayes region.They conducted a clinic in Dubreuil, where at 6:30 a.m., 40 people were already waiting for them! Clinical Director, Lauren Fox, FNP-BC, CCH, joined, Holly on October 30. Together with Dr. Joseph Prosper, practitioners from his clinic, and Homéopathes Communautaires, the team again made their way to Dubreuil. 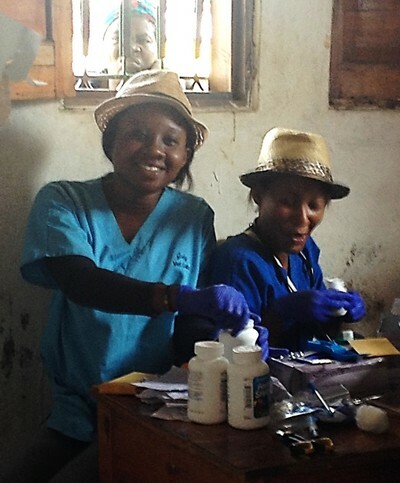 Clinic days were busy as people hiked down from the more remote mountain villages to Dubreuil. Reports of Cholera on the rise in Haiti abounded, but in Dubreuil on this trip, the team saw only 2 cases. 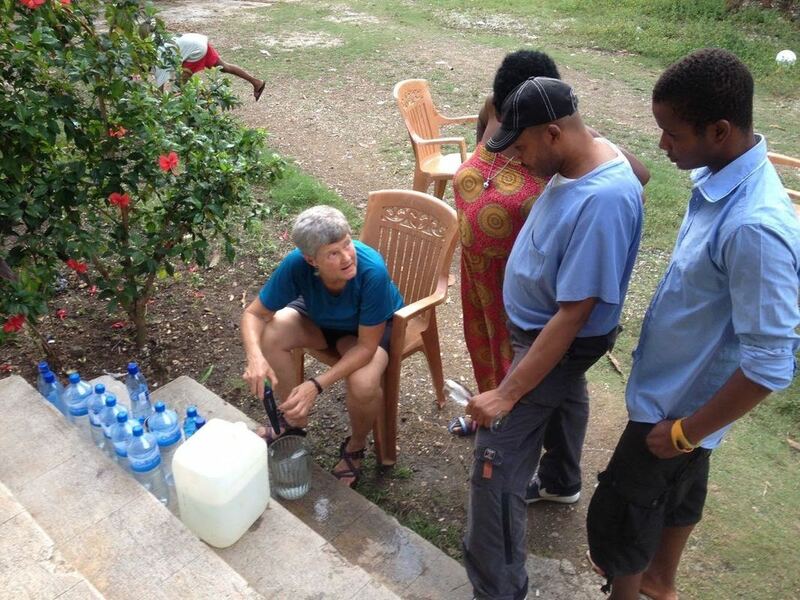 The team worked side-by-side with nurses from Dr. Joey's clinic who provided IV hydration in a makeshift ER. Haitian homeopaths Joseph Israel, James Alcy, and Wilby Vernet worked with Holly and to provide homeopathic medicine. Lauren coordinated the two teams. Our translators, Mysun Bengy Magloire and Menesly Alexandre, helped to make things move along smoothly! 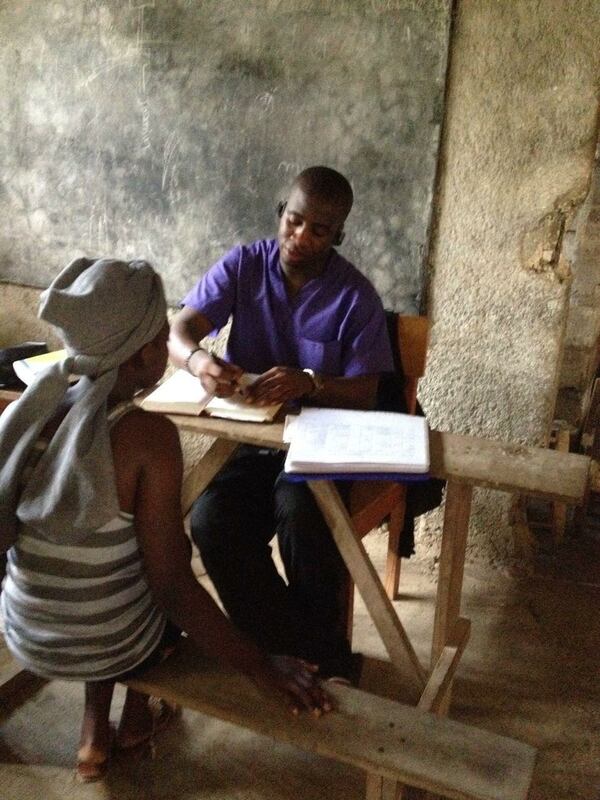 ​ In one day, the HWB team served more than 180 people in clinic. 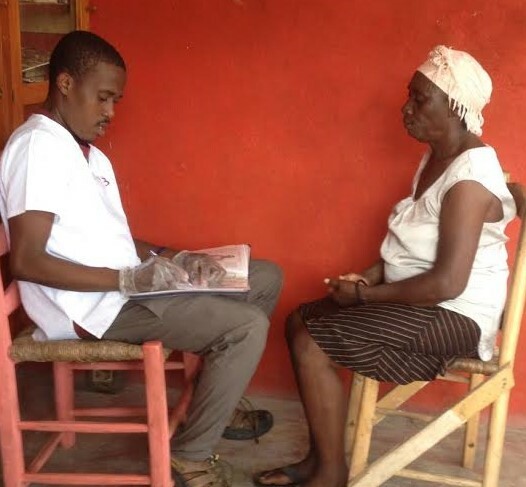 Most people treated were presenting with mental effects of the trauma they had experienced, but they also saw patients with serious skin issues, typhoid, and other epidemic diseases. 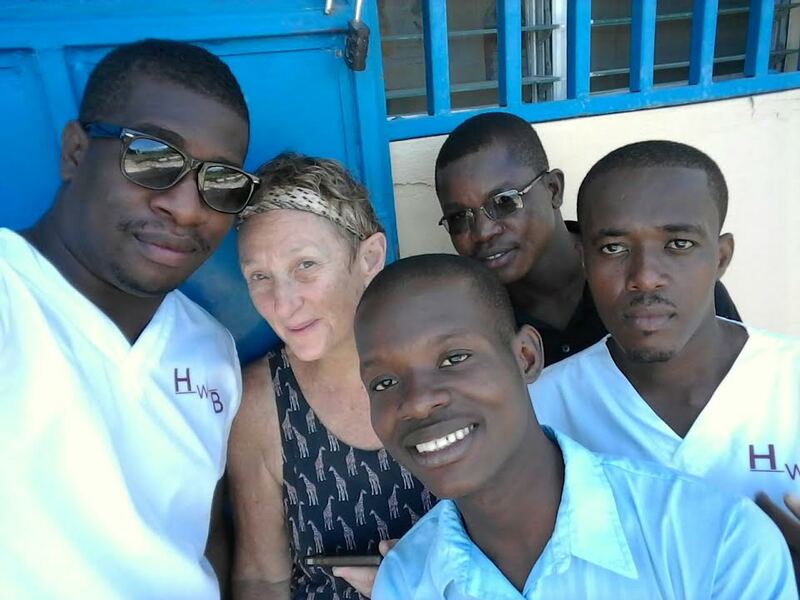 After 3 intense days, the team headed back to Port-au-Prince where HWB volunteer Tamar Laderman, FNP, CCH, joined the team. Next stop for the team was the town of Lamardelle where a clinic was set up at Fondation Enfant Jésus, . Lamardelle is in a valley where mudslides after torrential rains can wreak havoc--- although the heavy winds of the hurricane barely affected that area. Next, Homéopathe Communautaire, Wilby Vernet organized a trip to a terribly underserved orphanage. The team traveled miles over deeply rutted roads in a 'tap- tap' bus. 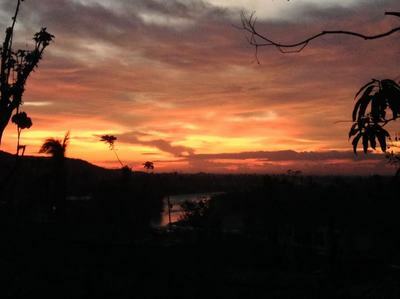 In this remote area, there are NO health care services. Tamar worked with four Homéopathes Communautaires treating 27 children at the orphanage plus other community members. ​By November 11, all the volunteers from the USA and Canada had returned home from HWB’s 4-week relief effort after Hurricane Matthew. 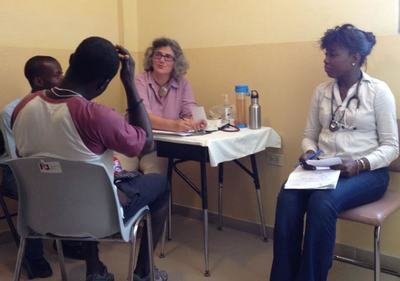 As we organize the next teams to travel to Haiti, HWB-trained Homéopathes Communautaires (HCs) will continue post-Matthew recovery efforts with the support from HWB clinical director, Lauren Fox, FNP-BC,CCH via the Internet --- tele-medicine at its best!